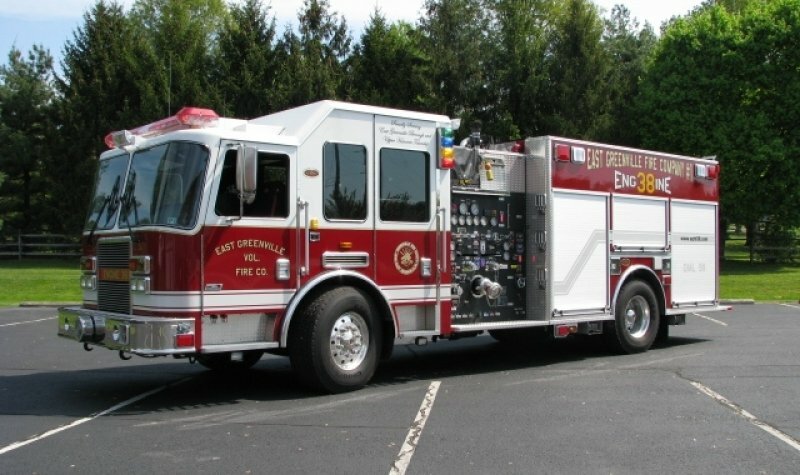 This 2007 KME Engine responds as the first due fire attack unit in the Borough of East Greenville and the northern end of Upper Hanover Township and as the second due Engine at all vehicle accidents and rescues in the same municipalities. 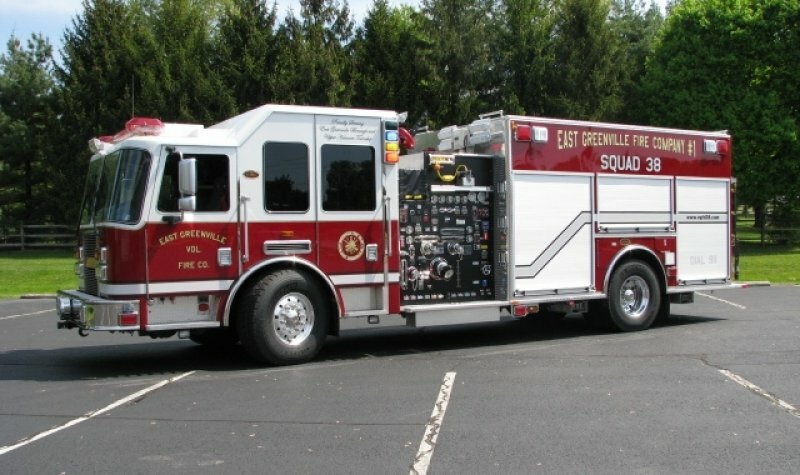 Engine 38 represents a new approach in fire suppression technique for the EGFD with the addition of a Compressed Air Foam System (CAFS) to its cache of firefighting tools. 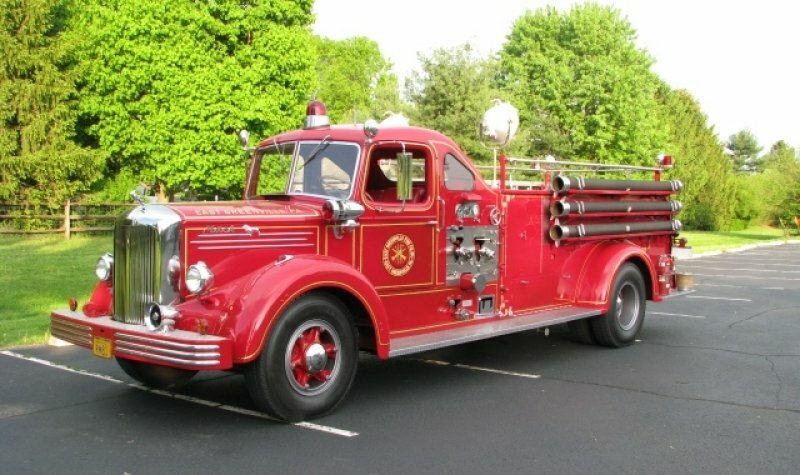 Squad 38 is a 2010 KME Rescue Engine featuring a varity of handtools, hydraulic tools and specialized equipment which enables this truck to perform a dual purpose role. Squad 38 is the first due unit to all reports of vehicle accidents and rescues as well as all other types of rescues in East Greenville Borough and northern sections of Upper Hanover Township. Additionally, Squad 38 responds as our second due engine to all reports of building fires as it is set up as a twin to Engine 38 with the same CAF system. 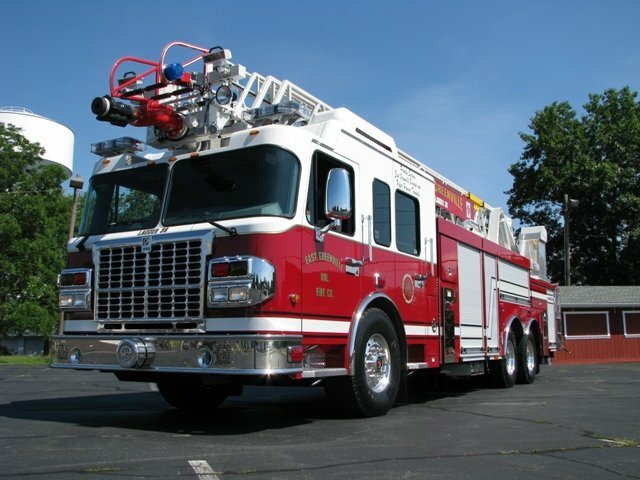 Ladder 38 is a 2013 Spartan / Smeal, 105 Aerial. Ladder 38 responds as the first due aerial to any reported building fire or fire alarm in the Borough of East Greenville and the Northern End of Upper Hanover Township. Ladder 38 is also set up to provide back-up vehicle rescue and confined space rescue services to the Borough and surrounding communities. Basically a toolbox on wheels, this truck carries numerous hand tools and other equipment to support fire ground operations. 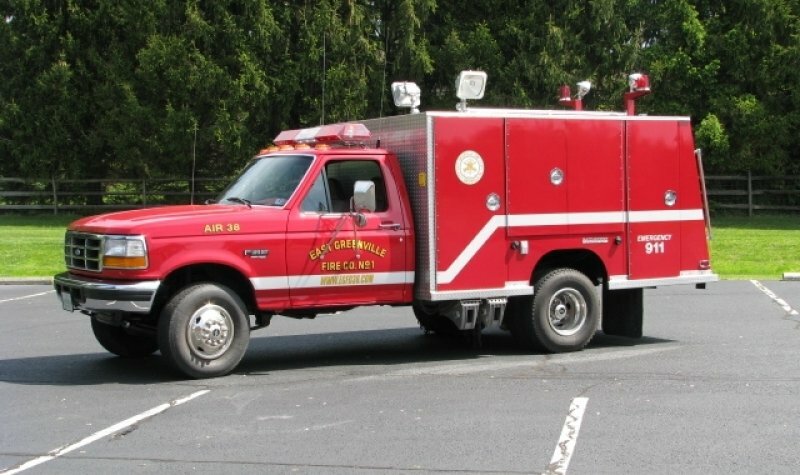 Air 38 is a 1997 Ford F-Super Duty/Saulsbury service unit. The body for this truck was purchased from the Macungie Fire Department of Lehigh County. Air 38 responds as a service unit to all incidents. Air 38's responsibilities include that of air cascade operations and scene support.